Will enough tax be withheld from your paycheck? Good question. Here's a question you'll be asking yourself in the coming weeks: Is my employer withholding too little or too much in taxes from my paycheck? It's an important question for which there will not be clear answers for anyone, at least not initially. The IRS is expected, possibly as soon as this week, to issue new withholding tables to employers that reflect changes from the federal tax overhaul signed into law just before Christmas. Employers that use large payroll service providers are likely to incorporate those changes quickly so that your paychecks may start to reflect them in February. Even under normal circumstances, however, IRS withholding tables usually don't nail precisely how much should be withheld -- depending on your income and the allowances you take on your Form W-4 -- to ensure that you won't owe another dime to Uncle Sam come tax time. For example, "the tables aren't designed to account for married couples with two incomes, or side jobs with no withholdings," said Kathy Pickering, executive director of The Tax Institute at H&R Block. This year, the chance that they may miss the mark for you is higher. The IRS has had very little time to incorporate the sweeping changes, which went into effect less than two weeks after the law was passed. What's more, a lot of features from the old tax code that affected how many allowances you claimed on your W-4 have been changed. Personal exemptions are gone, for instance, as are a lot of itemized deductions. And eligibility for the Child Tax Credit has been expanded. But the IRS has already said it's not issuing new W-4 forms that reflect those changes. The withholding tables and guidance it puts out will be designed to work with existing W-4s that employees have already filed, the agency said. That may lead to a scenario in which a fair number of people end up owing money to the government when they go to file their taxes in early 2019, according to Michael O'Toole, a senior director at the American Payroll Association. "If the IRS tells taxpayers and employers to rely on current W-4s on file ... there will be underwithholding for employees who [currently] claim a large number of allowances based on their dependents or on itemized deductions that no longer exist or are limited by the new law," O'Toole said. On the other hand, "if the IRS tells employers to use current W-4s but ignore the number of allowances claimed and reduce that number to zero, there will be a lot of overwithholding, thus reducing many employees' net pay." That, in turn, can mean a big refund come tax time. That's why Pickering advises everyone to be pro-active about figuring out what works best for them once the IRS issues its guidance. "We would recommend that all taxpayers review their W-4 with their tax adviser to ensure that they're having the right amount withheld from their paycheck based on their personal situation," she said. 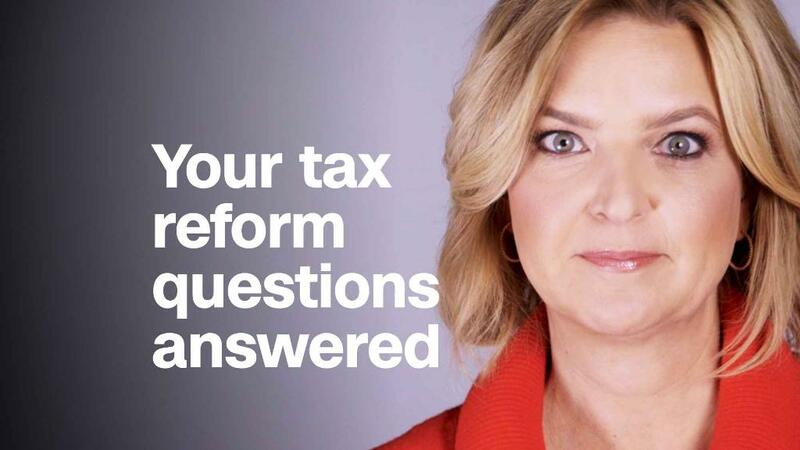 Or if you don't have a tax adviser, you might use the new withholding calculators that will become available from the IRS and from tax preparation firms like H&R Block to see whether the allowances you've been claiming still make sense under the new tax regime.